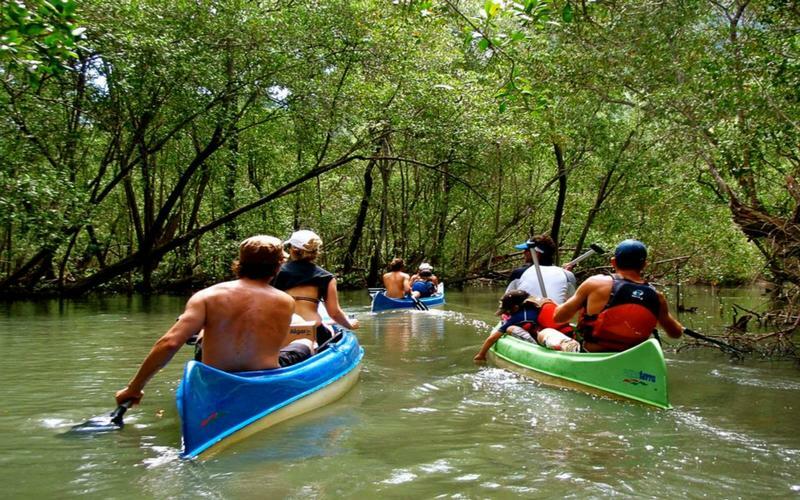 - Kayak or own boat, Mamangua Beach Hostel is on the right bank of the Mamangua in Praia Grande beach. 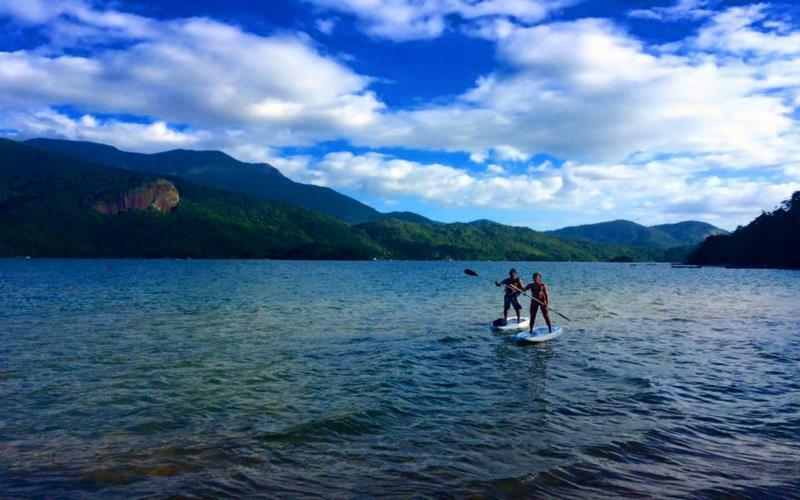 (Paraty Mirim have several family parking lots that you can leave your car).. 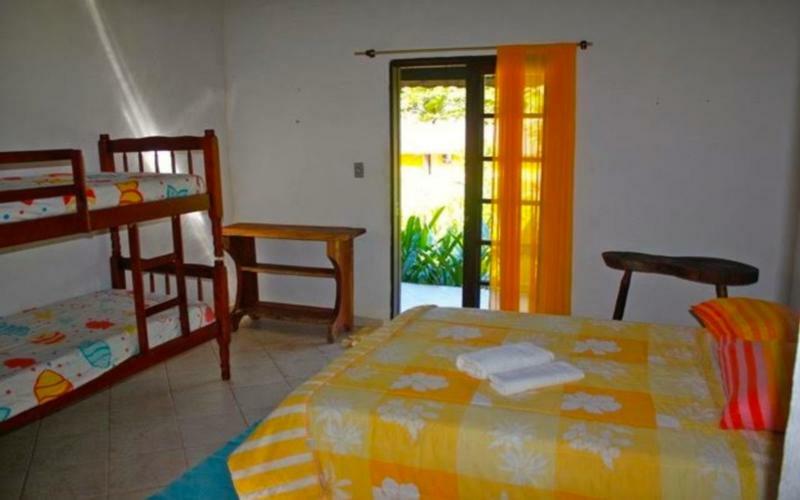 The Hostel is located in Saco do Mamangua, near the historical city Paraty, state of Rio de Janeiro. This place is a narrow long sea area, which goes for 8 km until it reaches a well preserved mangrove forest, with rivers and waterfalls. 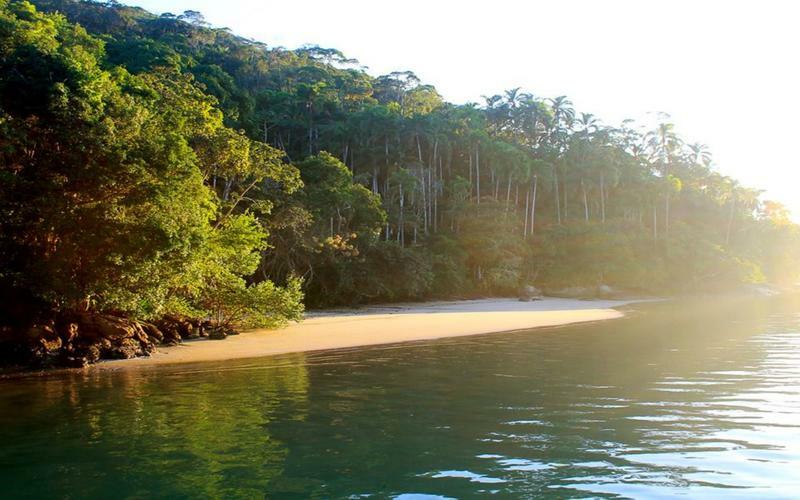 Since it has only 2 km (1,25 mile) of width from one margin to another, the Mamangua is considered one of the only Rias in the country and one of the most isolated places in southeast Brazil. Just to put that in perspective, electrical energy only arrived in 2016 and you can only get here by boat or trail! 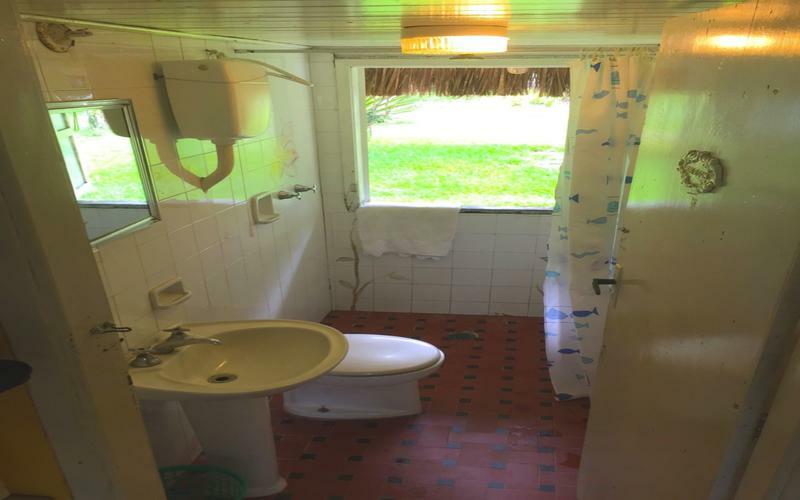 Visitors can expect a seashore surrounded by mountains, a tropical rain-forest with plenty of trees, wildlife and a traditional caicara community. It looks as if it was frozen in time, remaining almost the same and with its natural beauty. 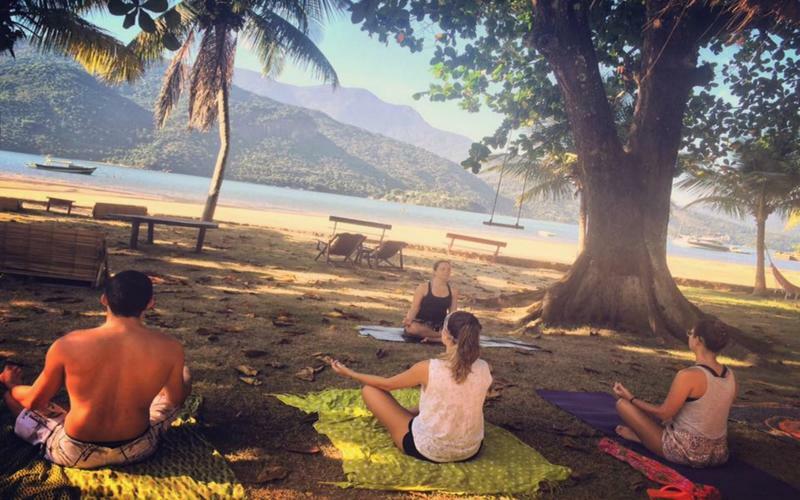 Saco do Mamangua is a place to disconnect, slowdown from our busy life, get in touch with nature, dance on the sand, go trekking, meet new people, have fun, relax, drink some coconut water by the sea side and live an amazing an unique experience. Here you can get to know local Caicara community, find out how the moon and the tide influence their daily lives, and try what were their only means of transportation: canoes. 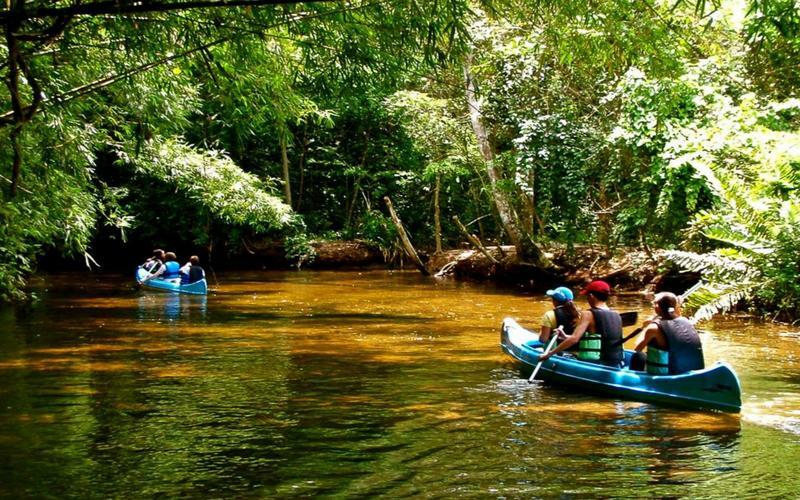 And for those who like paddling, a great option is to adventure yourself through the mangrove forest, at the end of the Saco do Mamangua, refresh yourself at the waterfall and go back feeling renewed! 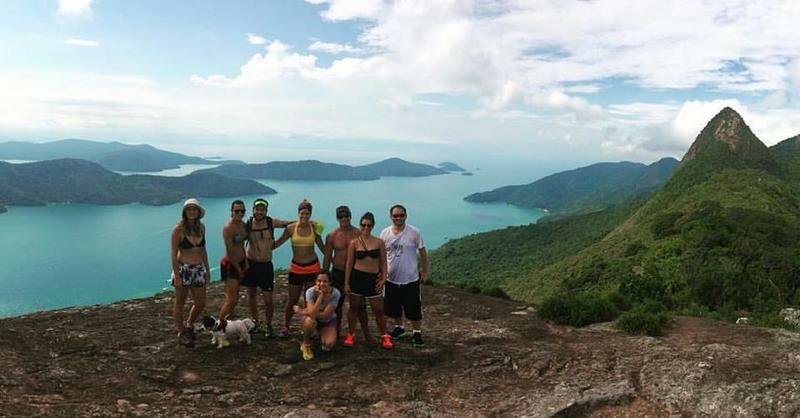 Another tour you can?t miss is to go up the Pao de Acucar - isn't the one in Rio de Janeiro! 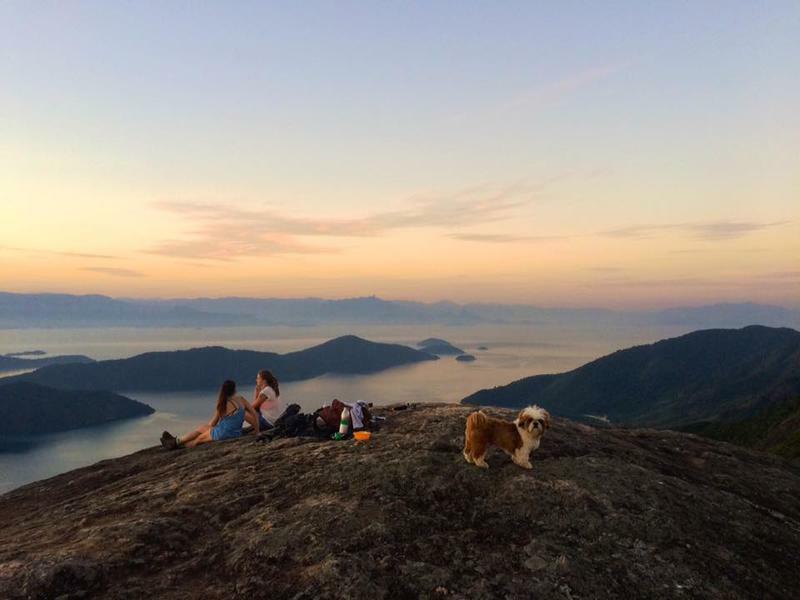 - there you have an amazing 360� view of Mamangua, Paraty Bay and the Serra do Mar....It's breath taking! Whoever choses to stay at our hostel, can do some yoga, enjoy the beach, read a book on the hammock while feeling the breeze. Our bar is also opened day and night. And every night we have some music and a bonfire! We have snacks and drinks in our bar to make your night even more special. Mamangua there are also a few great restaurants! The food is really fresh, and so is the fish, which is daily fished. The owners are local caicaras that are more than happy to welcome you. And be ready: the sky and the stars will amaze you! If you are lucky enough to get into the ocean on the night of the ?mermaids?s wedding? (a local phenomenon with plankton), you will see the sea water shinning with little green lights, it will be unforgettable! Mamangua Beach Hostel Policies and Conditions: Check in from 14:00 to 20:00 . Check out before 12:00 . Cancellation policy: 72 hours before arrival. Payment upon arrival by cash. Taxes included. Breakfast included. General: No curfew. As in Mamangua there are no phone signal, we and the local community only accept cash as payment. Also there are no banks to withdraw cash. Make sure you are taking all the money you need for your trip .